One of my favorite stores has some great new things. I don't know about you, but after the holidays, I like to start over with a clean fresh slate on my house, and add in a few new things to freshen it up. 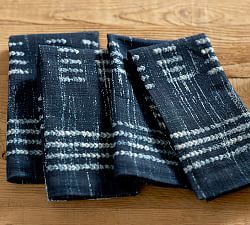 And look at these matching napkins! 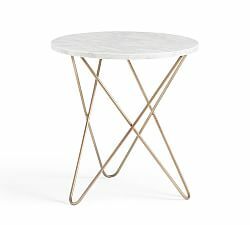 I love marble and this marble topped side table is amazing. 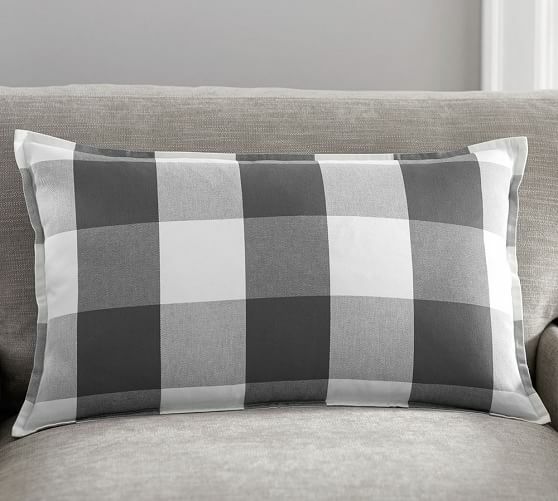 And who can resist buffalo check? 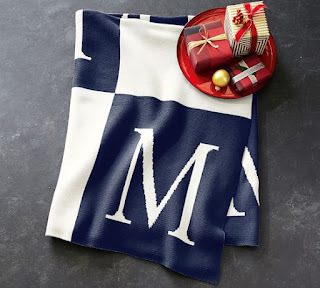 Thinking about getting one of these in a "H" because that's the closest thing I'll ever be able to afford next to a Hermes blanket! 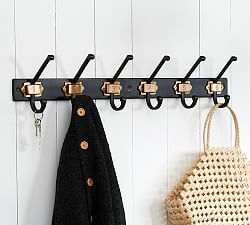 I've always wanted this row of hooks, and now it is on sale! 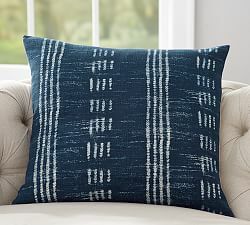 Pottery Barn is really stepping up their game, what are you loving there lately? I've been really enjoying PB. Love those hooks! I finally just purchased a wooden dough bowl from Pottery Barn and it is perfection. I was told they are discontinuing them soon, as soon as they run out - "only 80 some left". I have had copies and cheaper knock-offs but am really glad I did it! (My Christmas gift/2015). Again, it is stunning. I am loving lots of things at PB! That indigo blue is gorgeous! Those pillows and napkins are great. Thanks for the tip! The hooks are beautiful, I'm never disappointed by PB. Love the pillows - just ordered some candles from them and fingers crossed they arrive before Christmas Eve! Wishing you and your beautiful family a wonderful holiday!! You will be sharing a nice stuff. Keep moving..! see here cool status for whatsapp and different other statuses according to your taste. Check out the latest cricket news headlines from yCric. Read latest cricket news live cricket headlines from India and around the world. Nice stuff of your collection.Latest designs and clothing trends with clothing4style and the best Maria b party wear dresses collection. gul ahmed collection 2016 and others stylish dresses. India and Pakistan have drawn in the same group for the ICC Champions trophy 2017 which would take place in England this year. Champion trophy 2017 schedule, champion trophy live score and bally ball commentary.